The K Desktop Environment (KDE) is a graphical desktop, similar in function to the GNOME desktop explored in the main text of the manual. It uses many of the same freatures as GNOME, including icons, windows, menus, and a panel. This appendix covers the basics of using KDE: system navigation, working with files and applications, and customizing the desktop. 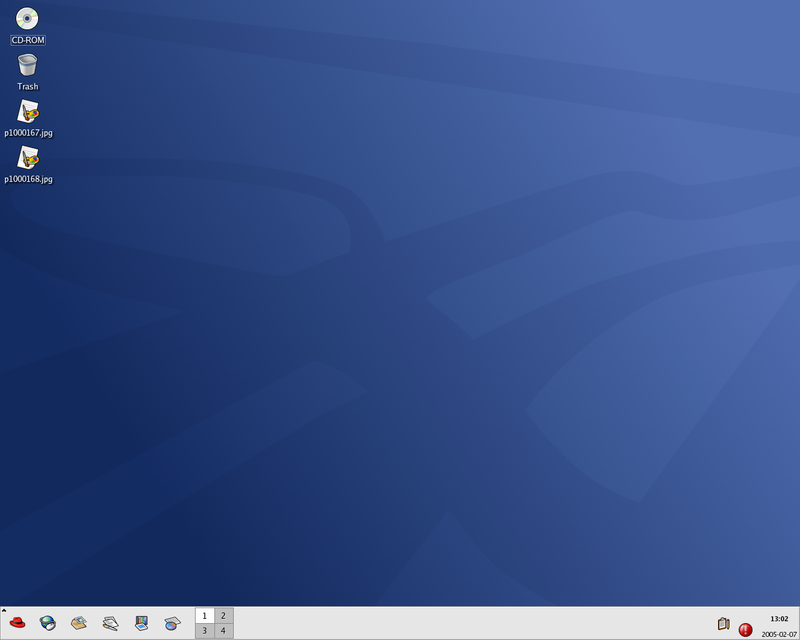 The KDE default desktop looks similar to Figure A-1. If you would like to learn more about KDE, visit the official website at https://www.kde.org/. The behavior and appearance of KDE is highly customizable. To open the Control Center, select Main Menu => Preferences => Control Center. The following list explains some of the configuration options in detail. This section lets you configure the Konqueror file manager and customize certain file operations. You can also associate files to applications that you prefer (for example, assigning all digital music files to open in XMMS instead of the default player). This sections allows you to customize the visual aspect of your desktop environment. You can customize background images and configure fonts, themes, icons, panel elements, screensavers, and window border appearance. You can also customize mouse and keyboard events which makes working with the desktop as efficient for your needs as possible. This section allows you to set country and language options to your particular locale. For users with sight or hearing impairments, you can also configure accessibility features such as audible and visual cues and keyboard/mouse customization. This section is an advanced system configuration interface. You need your root password to configure most of these options. This section allows you to install new fonts, configure login management, set system paths, and more. It is strongly recommended that you leave these settings at their default values unless you understand the consequences of changing them. This section allows you to configure the Konqueror Web browser. You can configure options such as cache sizes, website cookies, plugins, proxy settings (if available), and enhanced browsing using keyword shortcuts.